Nepali riders continued to dominate the Yak Attack mountain bike competition this year, in a feat comparable to the accomplishment of the Nepal cricket team at the World Cup. This is not just because of home field advantage over the terrain, it is a result of years of hard work, dedication, and a passion unmet by anyone except elite professionals. The time is right to capitalise on the natural beauty of Nepal and the passion of these riders to create a new breed of world class athletes from Nepal. Ajay Pandit Chhetri (pic, below) started biking only eight years ago with rudimentary equipment, working as a mechanic. Today, he is a well-travelled four-time National Champion, four-time Yak Attack winner, and victor of several races in the UK, where he spent two summers racing as a guest rider for the Torq Professional Mountain Bike team. At 25, weighing less than 50 kg and barely 5 ft tall, Chhetri doesn’t even look like a cyclist, yet he has achieved incredible wins. Unlike many Nepali sportspersons for whom mere participation is considered success, Ajay brings home trophies after trophies. Narayan Gopal Maharjan, last year’s Yak Attack winner, who has also been on the podium multiple years and is the runner-up to Chhetri in the last two national championships (despite five flat tyres in 2013), is another young gun to watch. He comes from a background in an embroidery company and martial arts and until five years ago, was on a Rs10,000 Indian bike. Now he races professionally for Team Recoil-Life in Nepal, and soon abroad. Last year, he raced for Single track Team, the only professional team in Nepal, and represented them in Malaysia where he qualified for the world championships. The 28-year-old has raced in South Africa, Bangladesh, China, Malaysia, Bhutan and India. Aayman Tamang (21) and Roan Tamang (20), both ride for the new SingleTrack Team as well and also qualified for the World Championships in Malaysia with Aayman placing the highest in the qualifying race (Aayman 10th with Narayan 14th and Roan 15th). Aayman also finished 3rd in the 2013 Yak Attack, but had to withdraw in Manang this year due to illness. Roan finished 5th last year and 7th this year in a tougher field. 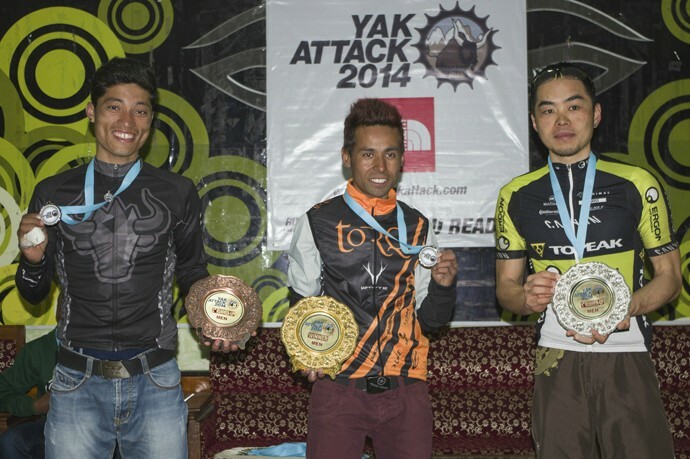 Ajay Pandit Chhetri (centre), Yuki Ikeda (right), and Narayan Gopal Maharjan (left) finished first, second, and third respectively at this year's Yak Attack. Raj Kumar Shrestha (25) has been on the podium in the national championships twice (2nd in 2012, 3rd in 2014) and despite a serious back injury last year began his resurgence by placing 4th in the 268 km, one-day race in Bhutan. This year he finished 5th in Yak Attack.. The 4th place finisher in Yak Attack, Rajeev Rai (25), moved to Norway three years ago where he races for Team United Bakeries, the largest team in Norway. Chhetri, Maharjan, Shrestha, and the Tamangs are headed to the World Championships for Marathon Distance Mountain Biking in South Africa in June, pending sponsorship. Chhetri, Maharjan, and Shrestha are also on their way to Taiwan to road race with Team Recoil for three weeks and have received multiple offers to race in Europe and North America. Now is the time to support these riders, their growth over the past several years gives hope that they can become more than just footnotes in the upcoming World Championship and beyond. They specialise in longer races with more climbing, so the marathon distances and stage races suit their strengths, however with proper coaching and support, these riders have the potential to impress at the Rio Olympics in 2016 as well. While the world of mountain biking has started taking notice it is now time for Nepal to step up and support their growth and take pride in their accomplishments. 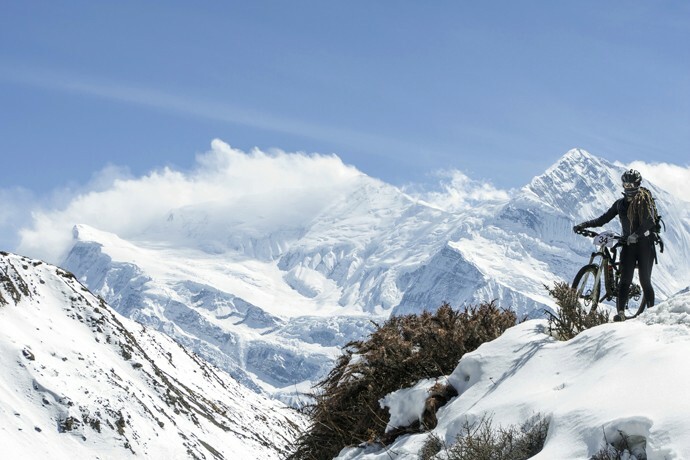 The eighth edition of the North Face Yak Attack held on 3 March once again proved to be a Nepali affair, with Nepali riders claiming six of the top 10 overall places, despite facing tough competition from luminary international riders. This year the number of stages decreased to eight from previous years’ 10. The result: an increased total mileage, more technical descents, increased average distance of over 50km and some of the tightest racing yet. For the first time in the race’s history, a foreigner, Yuki Ikeda from Japan, won the Day 1 stage. Chhetri threw the hammer down on Day 2, conquering the 86km from Trisuli Bajar to Gorkha, leaving Ikeda almost seven minutes behind. 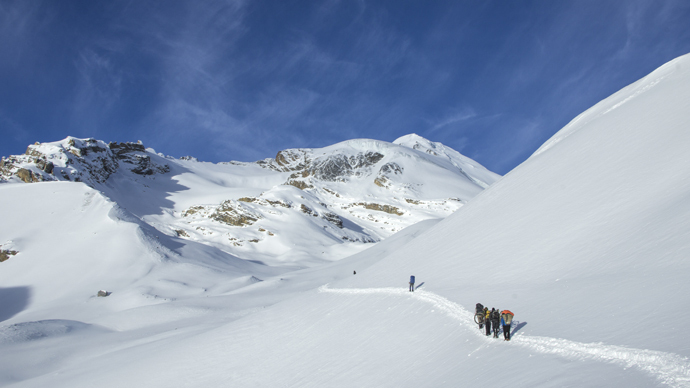 On Day 4, a 66km epic, with nearly 3000m of climbing, ascending from Besi Sahar (700m) to Chame (2700m), Chhetri furthered the lead by eight minutes. Canadian national champion Cory Wallace, one of the feared contenders of the race was forced to pull out after suffering from stomach ailments. 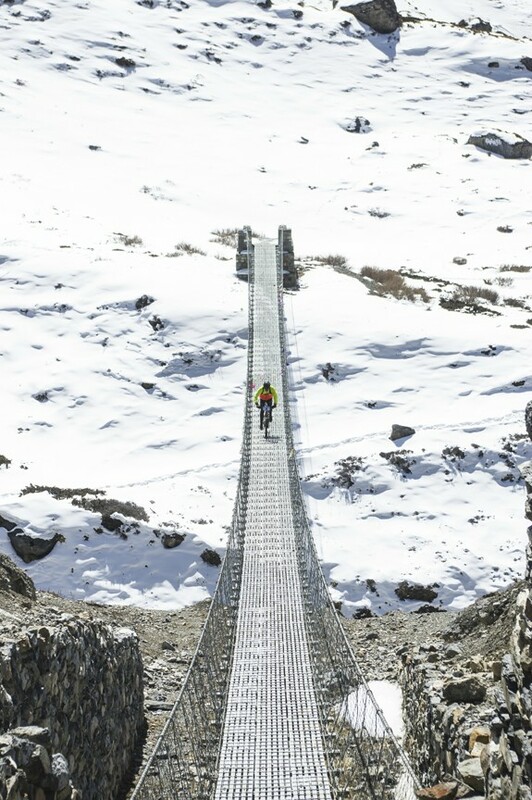 At the race’s penultimate stage at Thorong La, after a five km hike-a-bike to 5400m, the riders faced one of the toughest descents in the race’s history, with deep snow and ice all the way down to Kagbeni. In the final leg of the race, a 58km undulating descent from Kagbeni to Tatopani, Chhetri went all out to claim his throne, leaving his rivals behind by more than five minutes. Ikeda became the first international cyclist to finish 2nd in the race while Narayan Gopal Maharjan finished third.